Landmines maim & kill thousands each year, keep people from their homes, and deny the use of productive land. The Marshall Legacy Institute works in war-torn countries and provides Mine Detection Dogs (MDDs) to "sniff out" landmines, save lives and return the land to productive use. MDDs are one of the most efficient and effective detectors of landmines, searching an area 30 times faster than other demining tools and saving tens of thousands of lives, before retiring into good homes. 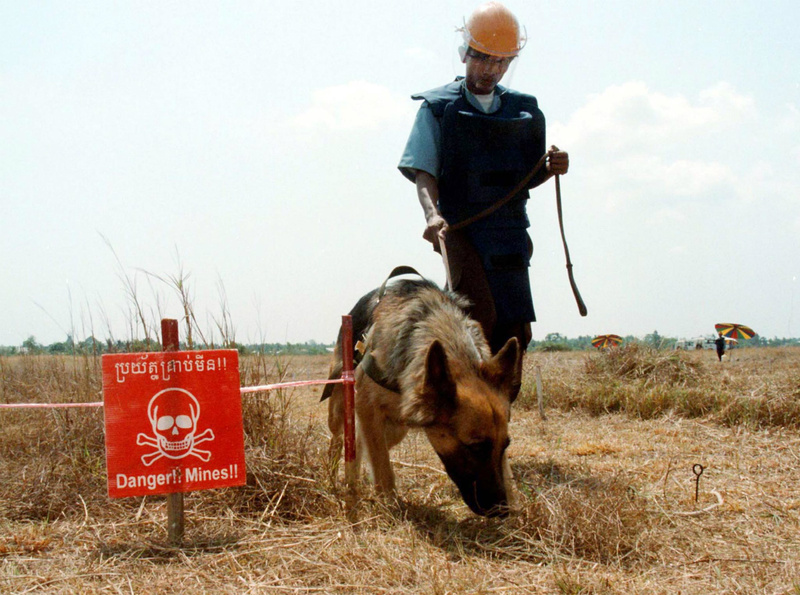 For many nations, a primary obstacle to achieving sustainable progress is the deadly legacy of landmines. Landmines halt agricultural production, impede economic growth, slow the return of refugees, instill fear, and kill and maim innocent citizens on a daily basis, injuring or killing at least one person every 40 minutes. Thus, MLI's primary mission is to establish practical, affordable, and sustainable indigenous programs to help severely mine-affected countries rid their land of mines. MLI emphasizes the importance of helping countries help themselves and is the only organization in the world that builds indigenous demining capacity by donating highly trained Mine Detection Dogs (MDDs) to mine contaminated countries, and then training local handlers to safely and effectively employ the MDDs in national landmine clearance programs. Each MDD impacts tens of thousands of lives by searching up to 2 million sq. meters of land in their working life before retiring into great homes. Check out an MDD in action, sniffing out mines!